Nowadays everyone is trading ordinary products for its organic counterpart. We first saw this trend with food, but it's slowly making its way over to the cosmetics industry. You don’t want to fall for the marketing tricks of cosmetic brands that will complicate what the true definitions of the terms natural and organic are. This happened with the food industry, but USDA rules and regulations set that straight. Since the cosmetic industry falls outside the parameters of the food industry, the USDA has created separate laws for it to adhere to. This means that the makeup you purchase that has an “organic” label on it might or might not be truly organic. Don't worry because we are here to help you understand what you need to look out for ingredient-wise, so you know whether or not a makeup product is truly organic. The first thing you should ingrain to your mind is that natural and organic mean two different things, but you do want your makeup to cater to both terms. Below we’ll be giving you an in-depth look at how you can revamp your entire makeup repertoire. What Exactly Are Organic Cosmetics? Organic cosmetics contain ingredients that are sustainably grown and sourced. This means that the ingredients haven’t been exposed to any harmful chemicals or pesticides. More specifically, no synthetic chemical compounds have made its way to the ingredients present in the makeup. Usually, you can tell if the makeup you’re looking at is organic. If it has a certification seal from an accredited organization that tests for the presence of organic ingredients, then you’re in the clear. If the cosmetic brand you’re considering has no stamps of approval from any institution, then you may want to put the product back down on the shelf. Keep in mind that the standard for organic varies from organization to organization. For instance, the Australian Certified Organic Association states that a cosmetic product can label itself as being “organic” if 70 percent to 95 percent of its ingredients fall under the definition of the term organic. What Makes Organic Cosmetics Organic? Some cosmetic brands use their organic ingredient list as a foundation for their marketing plan. This is an excellent way to get buyers to understand what organic means and what ingredients they should avoid in their makeup. A majority of drugstore makeup brands contain harmful chemicals, which several studies have shown may lead to certain cancers. Thankfully, cosmetic brands that pride themselves on being organic have removed a majority of these chemicals from their ingredient list. All of the ingredients above further damage your skin, which is the opposite of what a skin care routine should achieve. If you switch to organic makeup, you won’t have to expose your body to such ingredients. The difference between natural, organic, and ordinary makeup is astounding. Natural makeup contains ingredients that come from a natural source. This doesn’t mean that the natural source was grown and harvested under organic means. So, makeup being natural doesn’t make it organic. However, there are benefits of using natural products when compared to using ordinary makeup products. You want to avoid ordinary makeup entirely. More often than not, ordinary makeup is chemically produced. 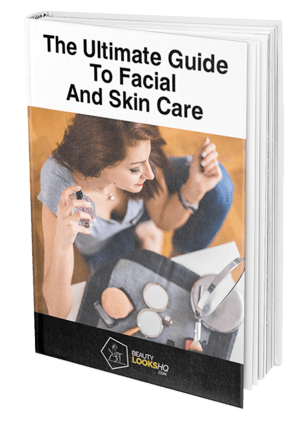 The best type of skin care you can offer your face is that of organic natural skin care. With the emergence of more and more organic makeup brands, exposing your skin to healthy products is now a reality. Organic cosmetics work hand in hand with natural products, which are known to reduce the development of allergies and skin irritations significantly. If you happen to have extremely sensitive skin, there is now a solution to your skin care needs. The answer lies with organic cosmetics. While most organic makeup isn’t one hundred percent organic, the presence of harsh chemicals that would normally cause adverse side effects has been eliminated. In fact, instead of further damaging and drying your skin, organic makeup will smoothen and moisturize it. Ordinary makeup contains chemical compounds that your skin easily absorbs. Your body cannot remove such compounds, so they end up spreading all throughout major intestines. After a while, severe damage could be brought to these organs, which leads to diseases forming late in life. Organic makeup does use these compounds as a base, so you don’t have to worry about any adverse effects taking place. In fact, people who use organic makeup provide themselves a certain amount of UV protection. This is because the natural minerals present ensure protection against the sun’s harmful rays. So, organic makeup keeps your skin looking young as well. What more could you want from your makeup? Ordinary makeup relies on ingredients that are petroleum-based, which does not do the environment any good whatsoever. In fact, the product of petroleum-based ingredients depends on a variety of other chemicals, which damages the Earth during its production process. More specifically, these chemical compounds tend to be harsh substances such as aluminum, lead, and petroleum. In order to obtain these compounds, underground mining is required, which is performed in areas such as the Amazon Rainforest. Organic makeup does not require any of these chemical-based ingredients, so mining isn't a necessary part of the production process. This means no wildlife ends up having to deal with their environment being damaged beyond repair. If you were to look back ten years ago, no one was demanding organic makeup. As the supply for organic products grew, people became aware that there was a new standard of living that would greatly enhance their personal wellbeing. Even though it started with food, it makes sense that the cosmetics industry would be next to get involved in the organic movement. The smart move would be to get on board with organic makeup because your skin will thank you for it. It will be difficult to find organic natural makeup since they aren't readily sold in drugstores, but you can find them through online vendors. The first step to take towards improving your skin care regime would be to start reading product labels and then work from there.